Why is it that when Democrats govern like Socialist dictators they win, but when Republicans govern like Democrats they lose? The sad part is that both parties govern in such a similar capacity that it is hard to tell them apart these days. Both parties have an insatiable appetite for spending; and fiscal discipline in Washington is as rare as a snowstorm in Phoenix. Neither party has shown the ability to govern the American people the way our Constitution originally intended. One could argue that we technically have not had a Democratic President in office since John F. Kennedy; or a true Republican President since Ronald Reagan. What we have had are a bunch of elitist globalists from both parties hell bent on relinquishing our sovereignty and leading us down the path to a New World Order. Make no mistake about it, the Republican Party is still head and shoulders above the Communist sympathizing Democratic Party of 2013. Our current occupier of the White House creates a clear and present danger to the very survival of our nation; a Marxist law professor with enough common sense to fill the head of a pin. This article is not intended to bash Democrats and the President; although that certainly is a favorite past time of mine. I will show my readers how the Democratic Party divides and conquers the Republican Party by pressuring the political class in Washington to go along with their agenda knowing full well it will anger the base of the Republican Party and help create long lasting divisions between the party brass. The Republican Party has three distinct ideological wings. It is made up of social and fiscal Conservatives, social Libertarian and fiscal Conservatives, and socially Liberal and fiscal Conservatives. The Democratic Party also has three distinct ideological wings. It is made up of social Conservative and fiscal Liberals, socially liberal and socially fiscal Liberals, and outright leftist Socialists; who never met a tax that was too high or an expenditure that was too low. Each party has a political or establishment class and an activist grassroots class. The establishment classes for each party also tend to operate in very different ways. For example, establishment Republicans tend to be much more moderate than the more conservative activist base they represent. The establishment Democrats tend to be more liberal than the people they represent too; however sadly that is changing. America has always been considered a center right nation. Most people are fiscally conservative and socially liberal. This is why the share of Independent voters has increased in every election. The truth is 40% of America will vote Republican and 40% will vote Democratic. That leaves 20% of voters with the fate of the nation in their hands every four years. Democrats understand this much better than Republicans and win elections because they know how to fool these voters with a false sense of security. The Democratic Party knows that most voters are socially liberal and fiscally conservative. That is why they continue to run on tax cuts for the middle class and abortion on demand. They understand class warfare and identity politics much better than Republicans do. They also know how to overwhelm Republicans in Congress and get them to submit to their iron will. The definition of bi-partisanship in Washington is when a Republican checks their morals, convictions, and principles at the door in order to sign onto leftist legislation so they can tell their constituents they accomplished something. When establishment Republicans go over to the dark side they get an earful from their more conservative constituents. We let our so call republican representatives know how disappointed we are in their decisions by not contributing to their reelection campaigns and ultimately protesting them by staying home on Election Day. This is how the Democratic Party wins. A Democratic Candidate could run for office with a criminal record and strangle a live kitten on national television and because they have a D before their name could still win an election. The reason is it’s not about the person; it’s about the party. It is about the promise not the delivery. It is about the artificial safety nets they claim to spring; not the harsh reality of how government bashes you in the face and slams your head against the pavement. It is the romanticism, fairytale, and utopian vision of equality, prosperity, and shared responsibility that most voters fall for. Republicans see their party much different. They are looking for something that does not exist in politics, and that is purity. There is no such animal in politics and it is about time Republicans finally realize and more importantly except this. We definitely want our representatives to align with us and be our advocates rather than our adversaries; however our first objective needs to be winning elections first. The difference is that if Democratic voters do not agree with their candidate on the major issues it is not a deterrent for them to sit home on Election Day. The reason for this is they would rather vote for a Democratic candidate they disagree with rather than a Republican candidate they vehemently oppose. Generally speaking, the Democratic Party has become an unprincipled, unscrupulous, and immoral party. The Republican Party has drifted so far to the left that it is getting harder to tell them both apart. There are still a few Republican members left in Washington that will put their principles before their party but unfortunately their numbers are dwindling. From a purely strategically speaking standpoint, Republicans, Conservatives, and Independents need to start voting like Democrats. Our number one goal must be to win elections and wrestle away control of the purse strings from the tax and spend liberals in Congress. This means we need to start voting for all Republicans regardless of what spectrum on the ideological wing they may be on. Once we gain power than we can start replacing the Republicans that do not support the ideas and values of the party. If we continue the infighting and the division we will continue to be in the minority for years to come. We need to run candidates that will take bold but electorate friendly positions. Positions that are center right like term limits, auditing the Federal Reserve, and making Congress part time. When it comes to wedge issues like abortion and Gay Marriage we need to understand that the Democratic Party is always going to try to use those issues to divide and conquer us. We need to start exposing the left on all the lies they have perpetrated on the American people. Healthcare is sky rocketing, the economy is in a constant downward spiral, and taxes and spending are at the highest levels in history. There is so much for Republicans to use against Democrats that I could write an entire strategy guide myself. Why the Republicans in Congress have decided to remain silent is a mystery. They have become a disgrace and you would think they would be doing everything they could to expose this administration but they’re not. In order to change the party we need to be back in the majority. You cannot change the party from a position of weakness. We will never get an opportunity to change the party from the inside out while we are looking from the outside in. 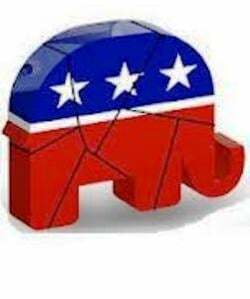 A fractured party is a losing party, the Democrats know this and it is about time Republicans figure it out too.